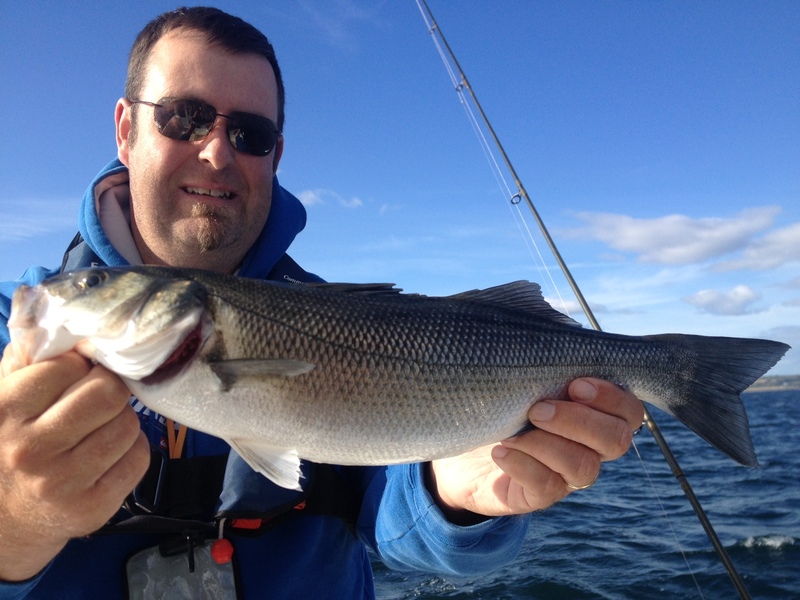 This weekend saw some very weak tides, crystal clear water and very calm conditions. Not exactly what you would consider to be good bass conditions. 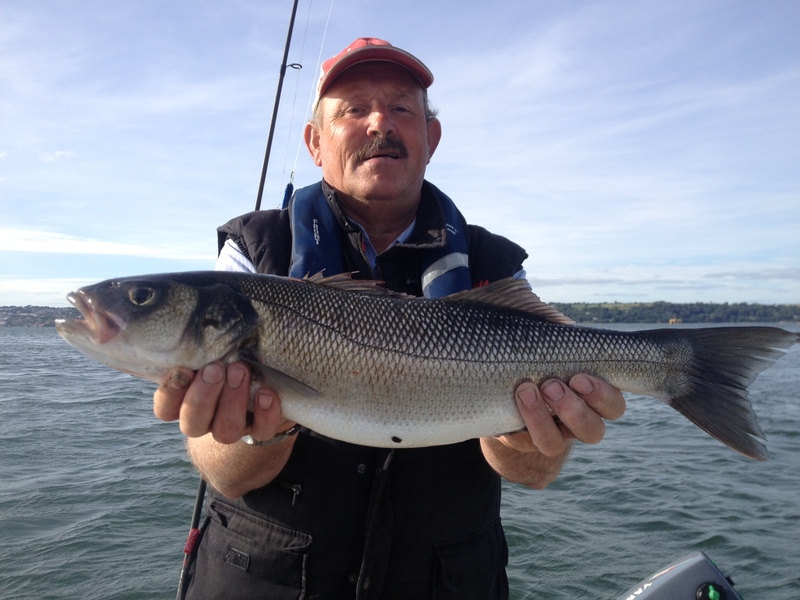 However, sound tactics and a positive mental attitude paid off and Mike D was delighted with the hard fighting qualities of the bass that he tempted. 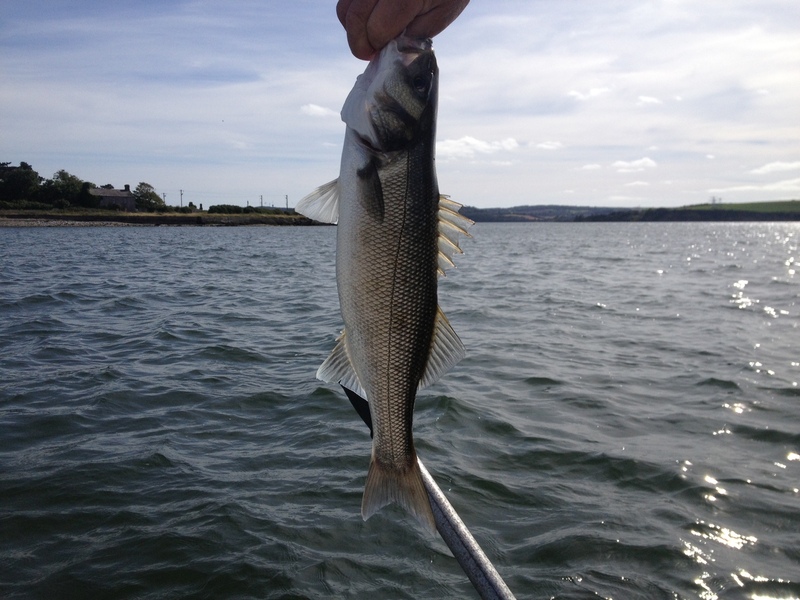 A really nice bass for Mike D.
Even some of the smaller bass we had this weekend fought really strongly for their size. 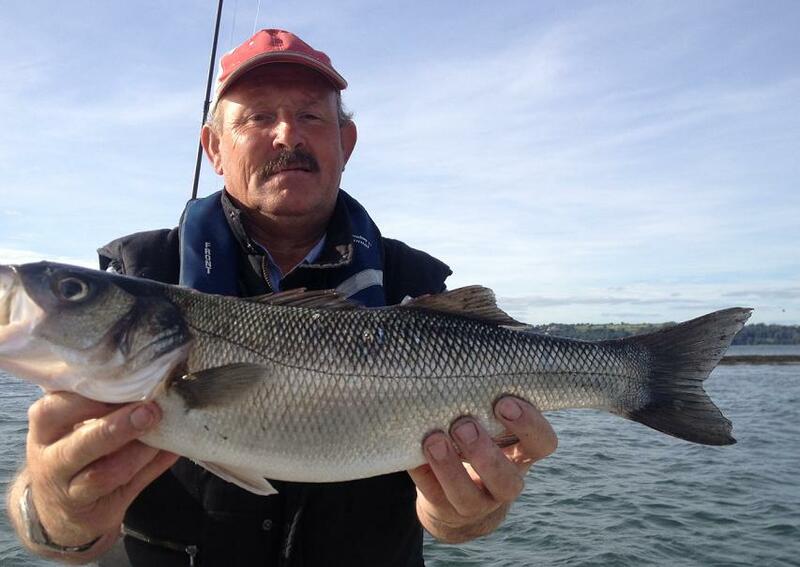 As anglers we all like to catch big fish but as I stressed to Mike, catching various sizes of fish at the moment is invaluable from a research perspective as Game Fishing Ireland is assisting Inland Fisheries Ireland with scale sampling again this season. Some scales from this fish are in an envelope to be sent to I.F.I later in the year. A few scales carefully removed and back into the sea for this fella. If you are a bass angler and not yet taking part in the National Bass Programme I’m sure its not too late to get involved and request a scale envelope pack.